educator-turned-astronaut Joe Acaba, who is orbiting Earth aboard the International Space Station. A teacher-turned-aquanaut just completed a mission under the waters of the Florida Keys. Washington state for five years. 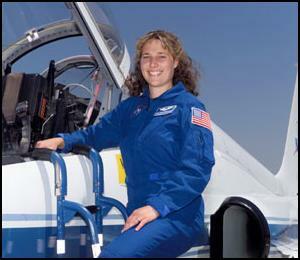 In 2003, she applied for NASA’s Educator Astronaut Program. NASA selected her to be an astronaut candidate in 2004, and she finished astronaut training in 2006. She flew on the16-day space shuttle mission STS-131 in 2010. Dottie recently spent 12 days as commander of NEEMO 16 at Aquarius — the world’s only undersea research station. Aquarius is owned by the National Oceanic and Atmospheric Administration, or NOAA, and is located 3.5 miles off Key Largo, 62 feet below the surface next to a deep coral reef. NASA uses Aquarius for the NASA Extreme Environment Mission Operations project. 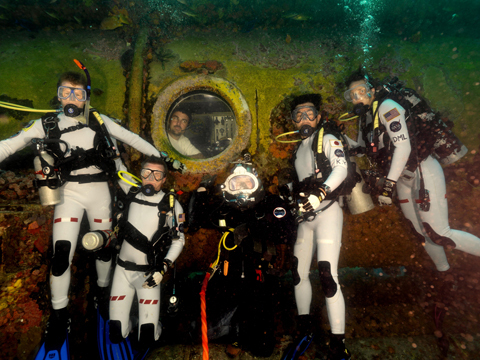 The NEEMO crew members, called aquanauts, are able to simulate living in a harsh environment such as explorers might encounter on an asteroid, moon or distant planet. As commander of NEEMO 16, Dottie led her crew in accomplishing the mission goals and also performing experiments that students and teachers could follow. You and your students can use videos of Dottie from her space shuttle mission to build a podcast about microgravity. The DIY Podcast Micro-g module features Dottie in videos 42-v Micro-g, 44-v Micro-g, and 45-v Micro-g.